Increase productivity by rolling a more efficient pattern while saving fuel and eliminating guesswork with an intelligent compaction control solution for your Asphalt compactors from Trimble®. Trimble offers the CCS900 and CCSFlex™ for your compaction control needs to help you roll a more uniform surface and increase efficiency. Trimble’s compaction control solutions for asphalt compactors feature a full-color graphical display for viewing compaction progress, pass counts and mat temperature information. These solutions offer you the flexibility to match the solution to your needs. You can monitor just pass counts or pass counts plus temperature. By adding temperature sensors you increase your precision accuracy. You can also document compaction operations on site with an optional in-cab printer. 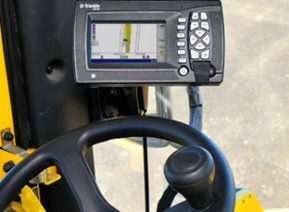 A compaction control system from Trimble brings with it the reliability expected from Trimble products. 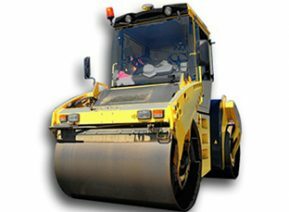 You can use one workflow from the initial design model all the way through to the last pass of the compactor as well as leverage on-machine components for milling, asphalt paving and compaction. 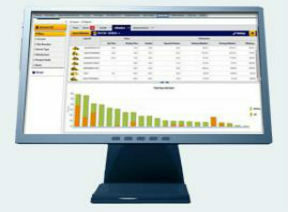 From the office, you can monitor and analyze compaction efficiency.